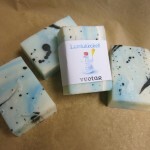 All Vuotar soaps are handmade and they all are unique. They are cut by hand and some might weigh little more than other and all edges might not be straight. 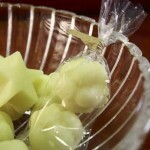 The soap weight that is informed in product page is the weight in moment of packaging. 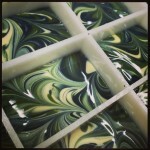 Handmade soap loses its weight over time when the water content dries out. 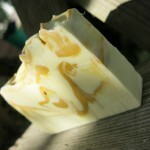 Soaps are made from oils and lye and the reaction of these is called saponification. 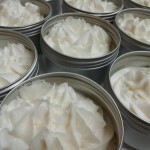 Oils and lye become sodium salts of fatty acids and then there's a by-product, glycerin, that is common moisturizer in cosmetic industry. 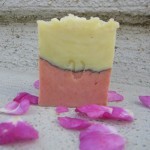 Soaps will cure from four to six weeks. 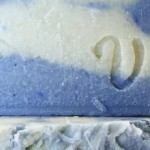 There's no lye left in cured soaps. To ensure that superfatting is used. 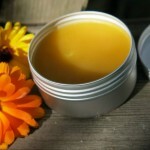 Superfatting means that more oils are used than needed in saponification reaction. In ingredients list saponified fatty acids are introduced as sodium salts, eg. saponified olive oil is sodium olivate. 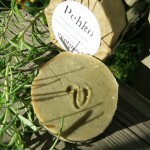 There are a few methods of soap making, for example cold and hot process. 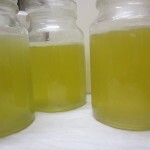 In both processes first things are to mix lye and water and to melt hard fats. 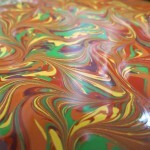 Liquid oils are added to melted fats. Then the lye solution is added to oil mix and they are mixed, preferably with stick blender until emulsified. In hot process the batter is left to sit in hot place (in slow-cooker or in owen) for about an hour. 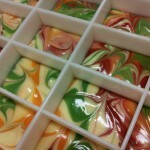 Cold process soap will be scented and dyed (and hot process soap will be, too, after cooking about one hour). Then the batter is put into mold. 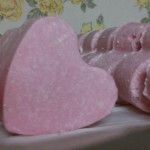 The soap is left to the mould for about 24 hours and then it is unmoulded and cut if log or slab mould was used. 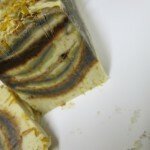 In hot process the saponification happens during cooking but the soap will be not solid so it is left to dry out for few weeks. 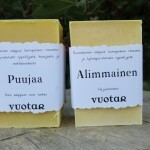 All Vuotar soaps - and other products as well - are safety assessed.